So you say you like to hunt on the cheap? Like to shoot long range on the short dollar? Well... we must be brothers from another mother. 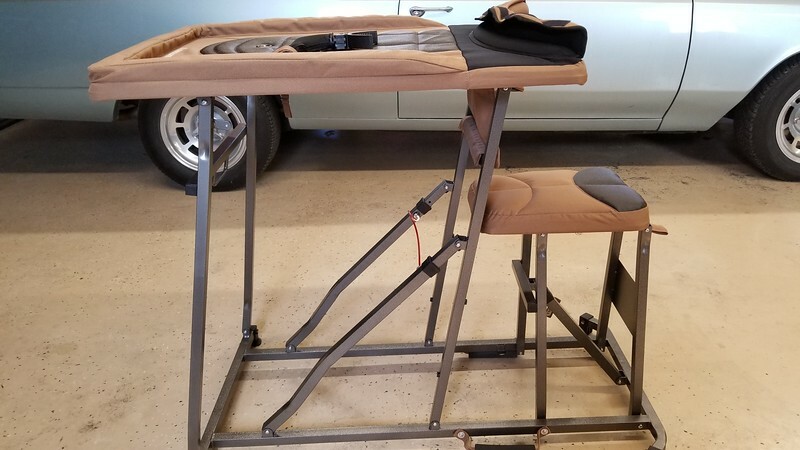 In preparation for groundhog season which is coming up right around the corner I was in search of a inexpensive shooting bench. 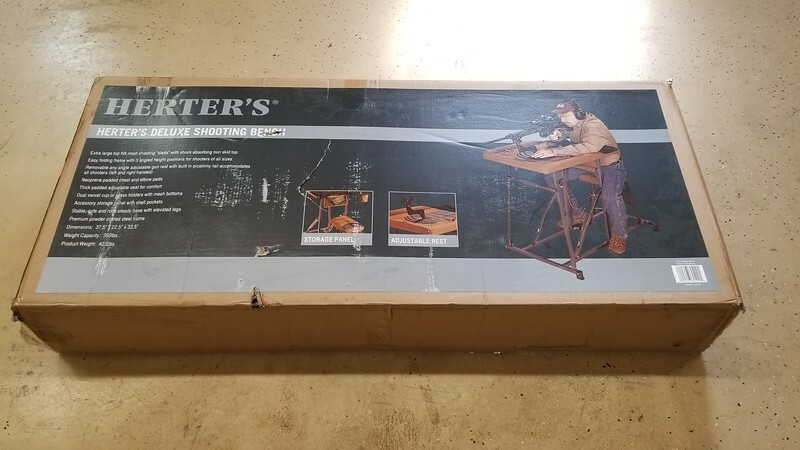 I stumbled across the Herter's ( or as i call it the HURTer's) folding shooting bench. I found it on sale at Cabela's for $104.99 plus free shipping with a 414 bump for oversized shipping TMD. $124.55 delivered to be exact, normally $179.99 plus shipping. I want to say that Field & Stream offers it as well at the $180 mark. 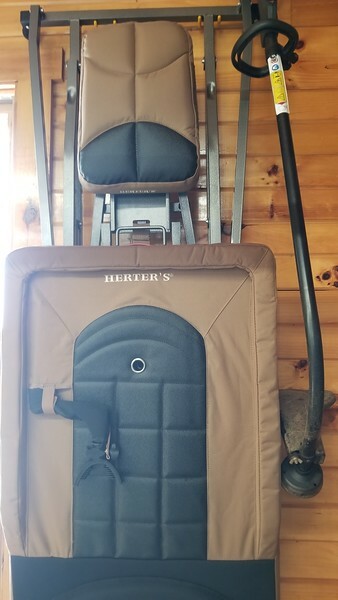 A Cabela's-exclusive — Herter's Deluxe Shooting Bench sports a large 34"L x 22.5"W bench for ample room that doesn't compromise your shooting form. 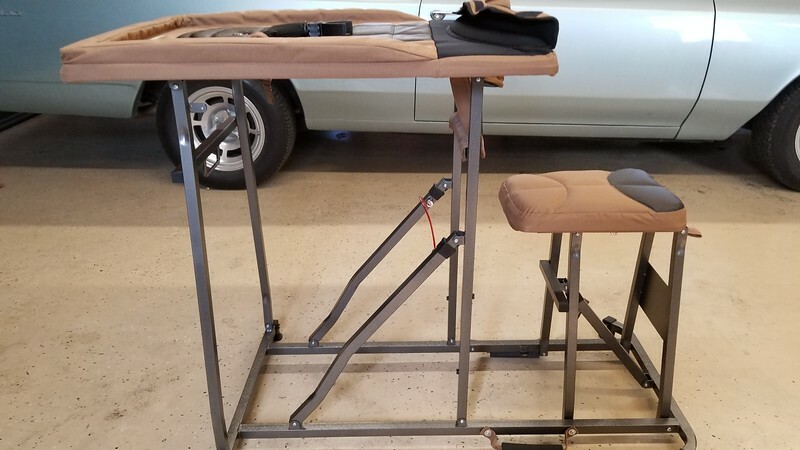 Shooting table is constructed of a durable 600-denier material with a raised edge to catch spent brass and keep your accessories from falling off. 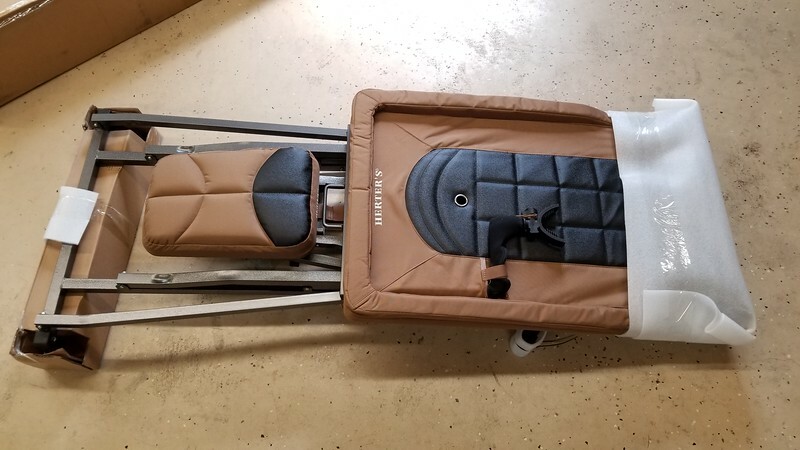 Slide seat back and forth so you're sitting up against the padded chest protector and rotate the removable shooting V 360° to accommodate your left- or right-handed form. Folding frame is simple to transport and sets up in as little as 10 seconds. 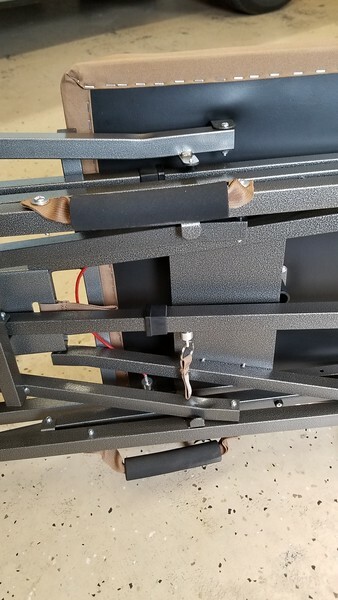 Corrosion-resistant powder-coated steel frame construction. Accessory pocket holds ammo and other bench essentials. 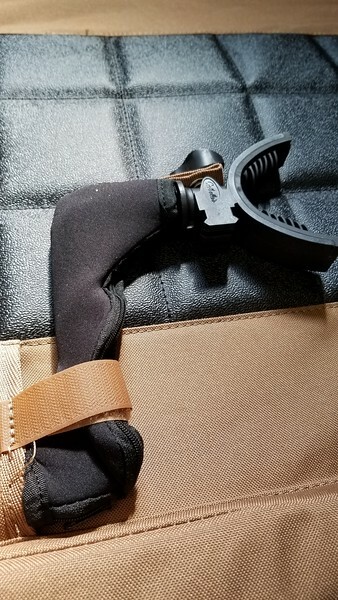 Integrated carry handle for easy transport. Imported. The box arrived in about a week and there must be a new protocol with Cabela's as the bearest store called me on the phone to make sure that i was happy with the order process and the shipper will deliver it on xyz date. I've never had them do that before in 25 years of ordering from them? 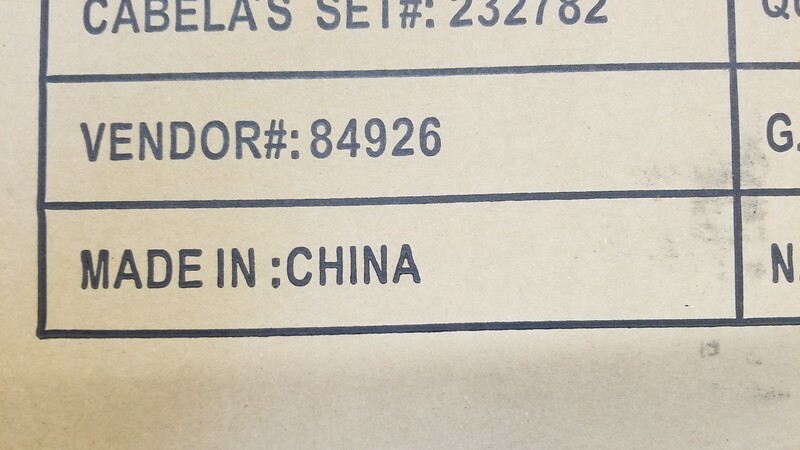 Let's see where it's manufactured at? Hmmm.... imagine that! It came well packaged with all the rub spots well protected. 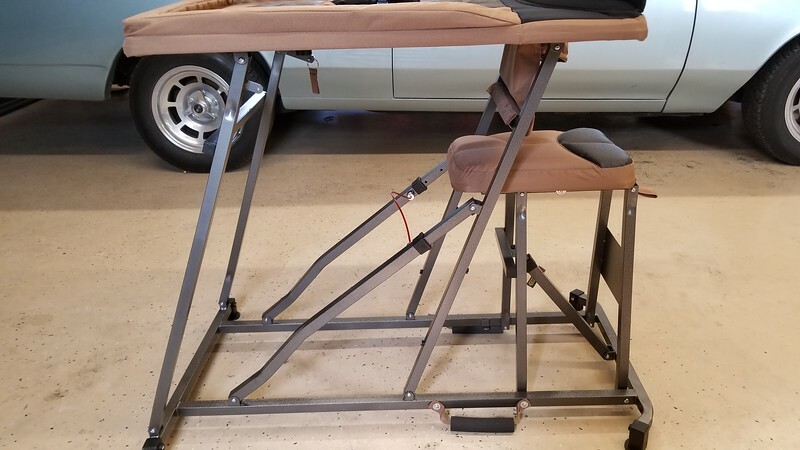 It basically has two spring loaded pulls that release the bench into a shooting bench. They line up well and you don't have to wiggle it around or fudge it to get them to line up when deploying or stowing. 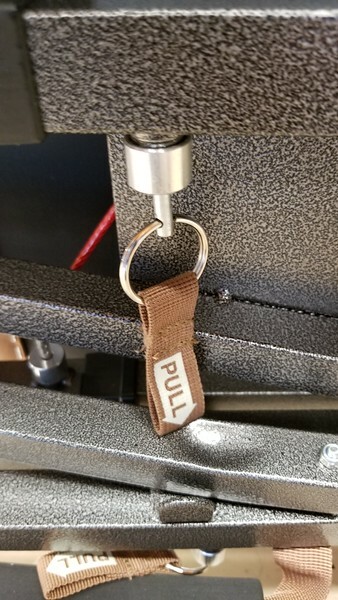 The seat can be adjusted to one of five positions by pulling and rotating the pin. Here's the broad range of adjustment. A latch under the bench lets you adjust the height of the shooting rest as well. The bench can be adjusted into three positions by pulling the vinyl coated cable in the middle of the bench. 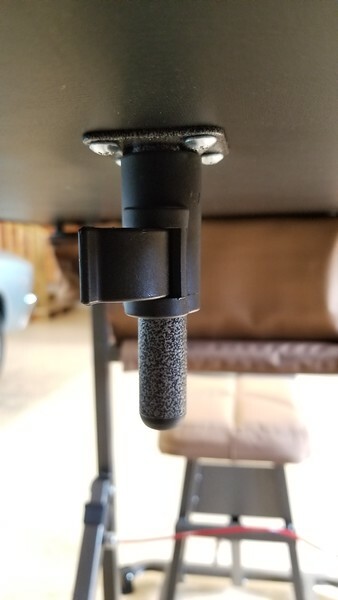 Here's a pic of the nice knurled knob to pull out to adjust the table forwards or backwards. I liked this option and feel it would come in handy on a cold day with gloves operating it should be no problem. I'm tall and lanky to #3 for me. The shooting rest stows on the padded cover on the table via Velcro. 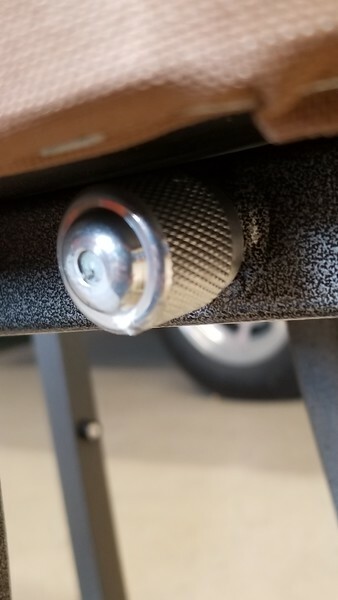 Once deployed a plactic latch under the table is used to hold it in place. I should mention that mine is defective and I pressed hard enough trying to get it to lock in place that i felt I was going to break it. The entire bench is covered in weatherproof material with a generous amount of padding. 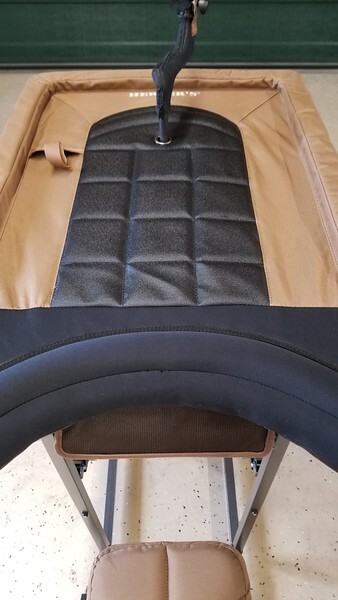 There's even padding where your belyy would rest up against the table itself. 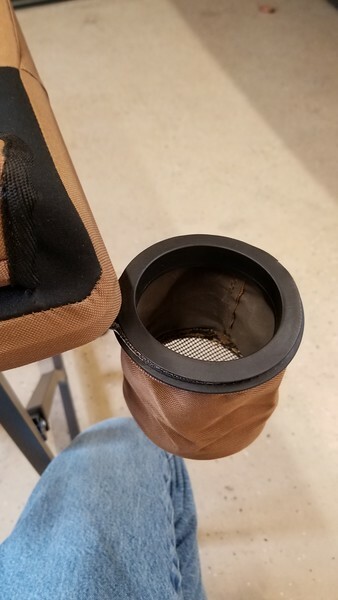 An nice cup-holder swings out which could double as a ammo, range finder or in general gear holder. 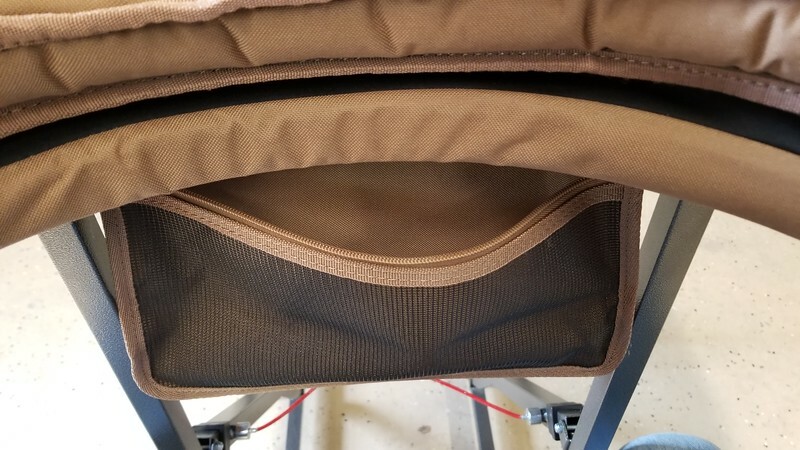 There's a zippered pouch for more gear up under the front of the table. I think this is a poor place to stow gear as when seated the pouch would be setting on your lap. Possibly make noise and spook game when lining up for a shot. In under 30 seconds and two pulls of the release mechanism it's folded and ready to be stowed. A couple of hooks on your garage or shed wall and she's stowed out of the way all set for your next hunt. All in all my review is somewhat positive. Will it pivot for your dog hunters? No... But the rest on the front has about 90 degree swing and still have usable bench to rest on. The actual rest is a throw away. 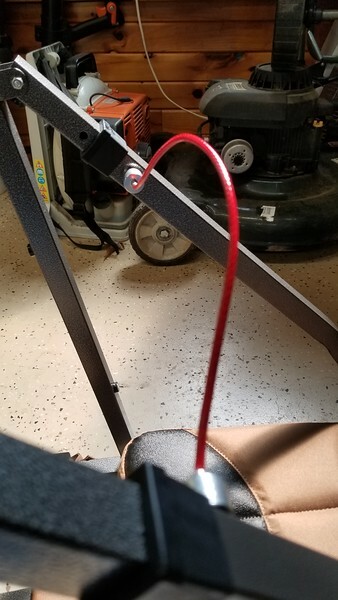 I would thing a decent worm drive rest could be installed for minimal money or bring your Caldwell or the likes and just throw it on top of the bench. I suspect the dark colored vinyl will get very hot to the touch in mid summer and a long sleeve shirt may be in order. Will it work for me groundhog shooting in the corner of a bean field in the shade? Heck yeah it will. 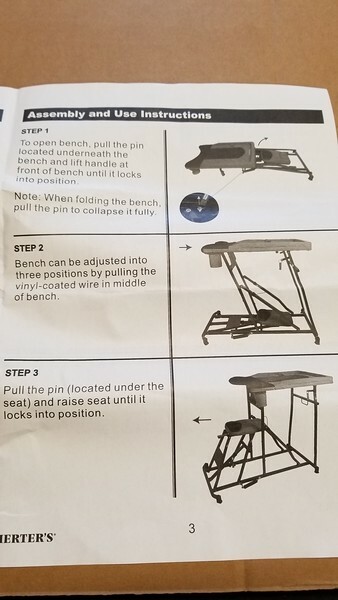 So for my $100 investment I look forward towards many years of useage out of this bench.